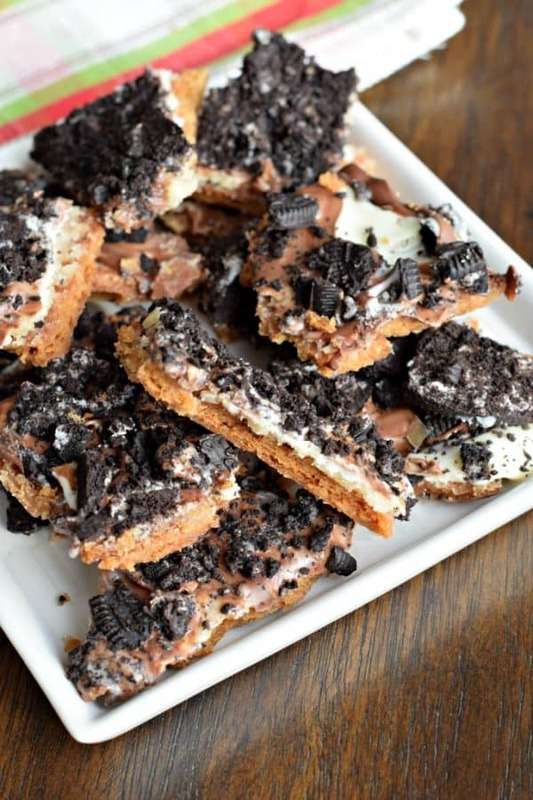 Oreo Toffee is a sweet and scrumptious snack! 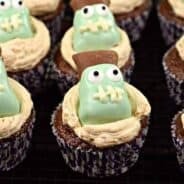 This is one party dessert everyone will devour! I’m obsessed with cracker toffee. 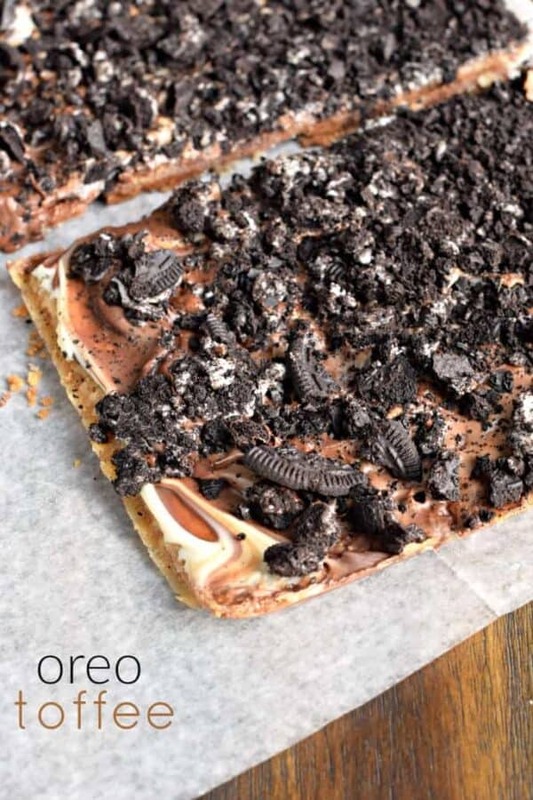 Have you tried this amazing creation yet? Years ago my obsession started with these Brickle Bars. Then moved onto Saltine Toffee, then I added some variations that included this Peanut Butter version, this coconut version, and this holiday Peppermint flavor. 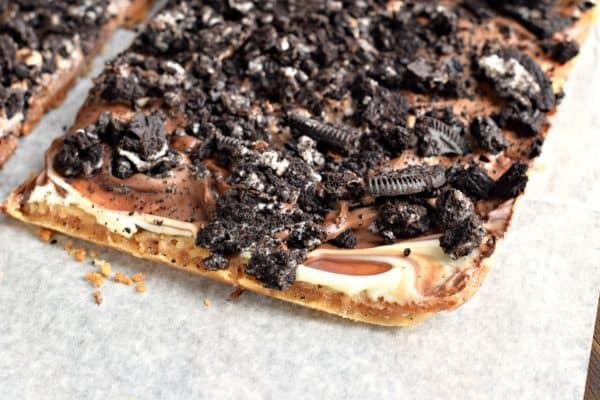 It all started when I saw a video from Inside BruCrew Life and she had made a cookies and cream toffee. I had just made my Peppermint version and was itching to try another flavor. 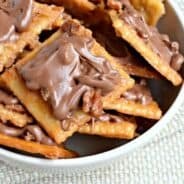 I used my graham cracker toffee recipe as a base, but feel free to try the saltine toffee version if you prefer (so versatile). Once the chocolate has hardened, store these in an airtight container at room temperature for up to 7 days. ENJOY! Or, be like me, and store them in the refrigerator in an airtight container. I love the chilled texture! Oh sweet baby jesus. This is the best thing I have seen in a long time. I am so glad you liked my fun toffee bark so much that it inspired you to make a batch right away! 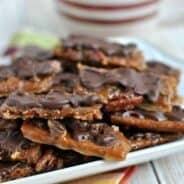 This is probably my all time favorite toffee bark that I have done! Oreos are my weakness. This looks so incredible…and so easy. I’m in! 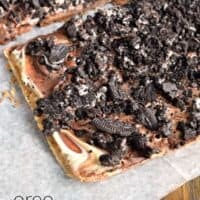 I’m obsessed with cracker toffee and this recipe is no exceptions-the Oreo’s only add to my love!